"Mastering Your Resources in 2019"
Bill is the founder and CEO of McDermott Financial Solutions. 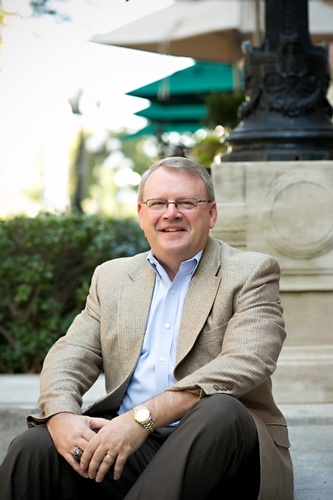 After three decades working for both national and community banks, Bill uses his expert knowledge to assist closely held companies with growing their business, finding financing, and resolving problem loan negotiations. Bill is passionate about educating business owners about pertinent topics in the banking and finance arena. He currently serves on the KSU Entrepreneurship Center Executive Advisory Council and is the Treasurer for CEO Netweavers and a member of the Atlanta Executive Forum. His past experiences include speaking at the SE Accounting Show, GSCPA chapters, Vistage groups and Chamber of Commerce groups. He previously served on the board of Gwinnett Habitat for Humanity. Bill is a graduate of Wake Forest University in Winston-Salem, NC. He and his wife, Martha, have called Atlanta home for nearly 40 years. They have two daughters, Meredith and Elizabeth. Outside of work, he enjoys teaching Sunday school, traveling and gardening.